Currently we are in the coastal city of Cartagena, Colombia. Our place is in a a gorgeous area with old colonial architechture and surrounded by a wall that was built in the 17th century to repel attacks and was at one time considered impregnable. It is a major trading port, especially for precious metals (trust me, we have already been looking at emeralds for Jen), and remained under Spanish rule until 1811. 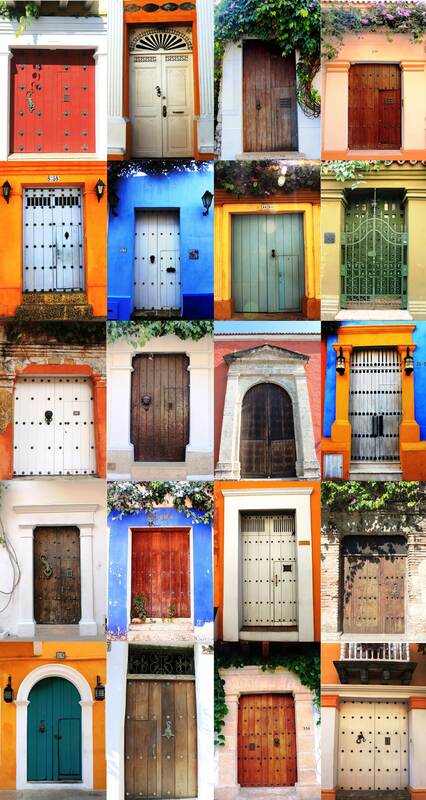 One of the things we noticed is that the city, like all cities, is filled with doors. However, these points of entry are different from most. Many are quite large, most are painted, they have ornate fixtures, floral growing all around, and more. Really they are quite pretty. So, we decided to take some photographs and share them with everyone. 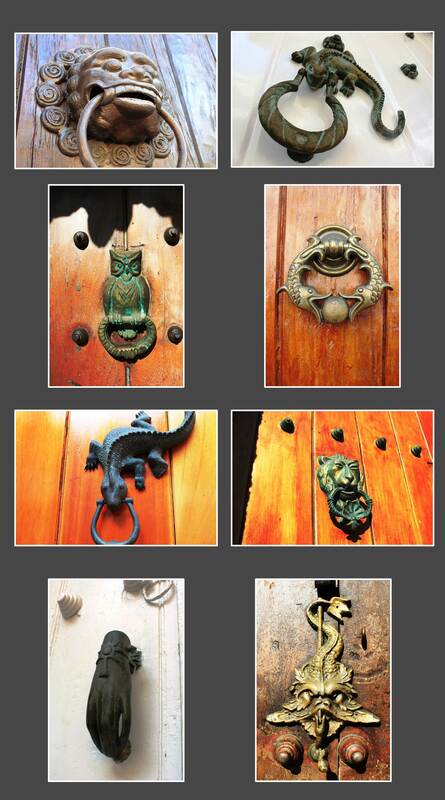 Hope you enjoy the doors of Cartagena. 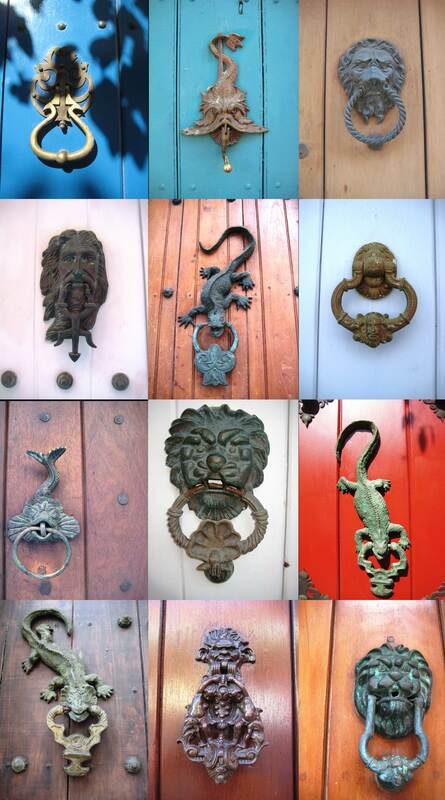 Just because we like you – here are some knockers as an added bonus!!! Well done! I feel like I just pulled up a design blog. Those really are great photos. Glad you guys are having such a wonderful time. Miss Sydney started the army crawl last week so she is keeping me very busy these days. We’ll look for you guys on skype. ahh! i was just about to post about that little owl! I love the doors too!! Hey you two! I’m getting caught up on your trip. I get even more jealous the more i read Sounds like all is well. Heading to Puerto Rico for a mini vacay!